What's the difference between management consulting and strategy consulting and why does it matter? Have you ever asked yourself what the difference between management consulting and strategy consulting is? Or perhaps the difference between leadership consulting and business coaching? If you have, don't worry - you are not alone. Much like soft tacos and hard tacos, these terms can have subtle differences, with some overlapping features (or many, in the case of tacos). In fact, there has been some debate on Wikipedia regarding the potential of merging some articles related to different types of consulting. On a side note, "soft tacos" and "hard tacos" have already been merged into one article on Wikipedia, in case anyone is wondering. Some specialists may argue against such a generalization of the business consulting industry, but even putting the technical definitions aside, we can explore the intertwining nature of some types of consulting. Management consulting can be seen as more general and needs-based, advising companies on the most efficient way to operate, structure and manage their employees, or choose the best financial model. In the meantime, strategy consulting is defined to have more of a 'big picture' view, addressing questions such as "what do we do?" and "what differentiates us from our competitors?". There is a difference, when we define it in theory like this. However, in practice, are these fields that separate? We think not. Most of the time, one type of consulting will lead to the need for another, or even oscillate between each other, like crossing the Galata Bridge in Istanbul back and forth over and over again to go between Europe and Asia, to provide a very holistic assessment and assistance to an organization. Sometimes, it could even be impossible to provide one service without the other. A consultant could be evaluating a potential new product strategy against the competition in the market when he or she comes across questions relating to production costs or the new operating model, transitioning from strategy to management consulting services. 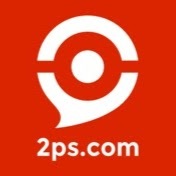 2PS offers a comprehensive range of services tailored to your needs, all at an affordable rate. As company departments and divisions become better and better connected and managers start to understand and utilize their interdependence, consulting companies and independent professionals begin to offer more comprehensive services, encompassing everything from top level strategy to middle manager leadership coaching. This does not mean modern-day consultants stop being specialists in their field. However, this trend does call for a more "Jack of all trades" approach to consulting. For small and medium sized consulting firms specializing in a specific type of consulting, this is a wakeup call to diversify. Offering more than just one kind of service could become an important differentiation factor that would result in clients choosing your firm over a competitor. Do Mother Nature's laws apply to the Sharing Economy?